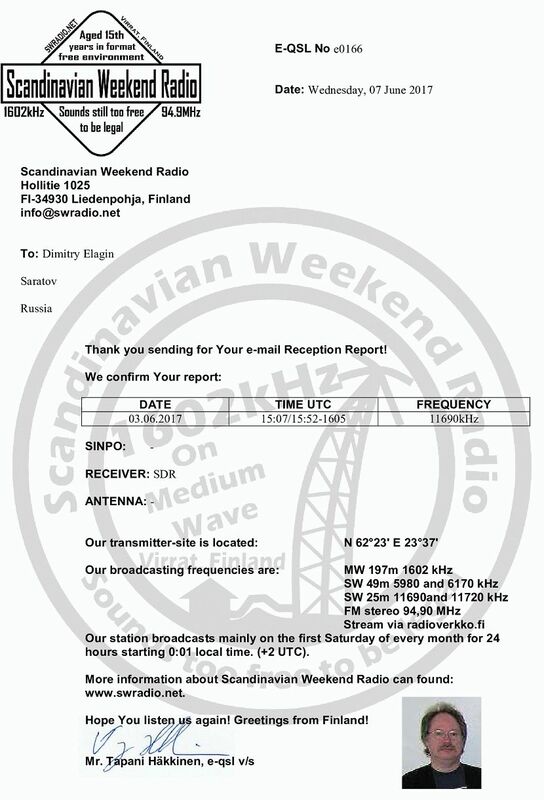 You are receiving this message as well as a pdf file as an attachment, which is our radio station eQSL. If you want a traditional colourful QSL card, please send a reception report to the above address with a reply postage: 2 euros, or 2 U.S. dollar or 2 international replycoupons (IRC) (make sure the coupons are valid and properly labeled). Find us in Facebook, also! Audio clips and video helped me to id our station! These are always wellcome!